For Most hunters, the pump shotgun served as their introduction to wing shooting. The Synthetic has a rugged dependability that wil become your "go to" choice. The PA-08 Synthetic has a lightweight and durable injection-molded synthetic stock, and has a matte black finish to all the metal work to reduce glare. This Weatherby PA-08 pump shotguns feature a ventilated top rib and brass bead front sight to aid in target acquisition. The vent rib works to dissipate heat in the barrel, promotes a smoother "swing-thru" and gives the shooter an excellent sight line for acquiring fast-moving targets. 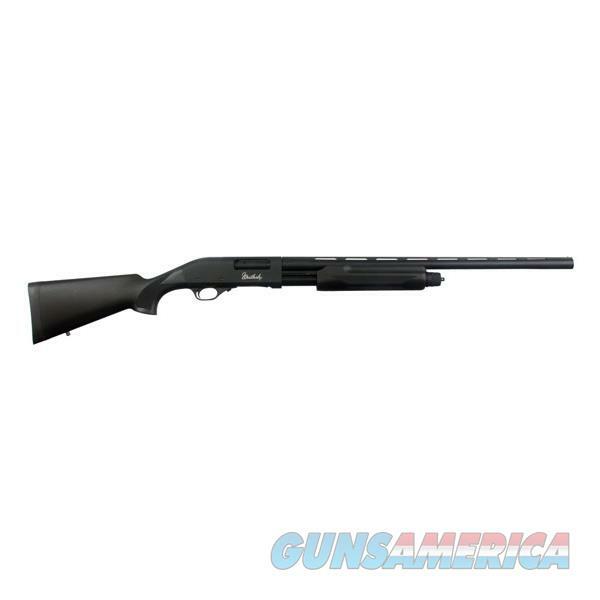 Available in 12 gauge with a 3 inch chamber and either 26 inch or 28 inch chrome lined barrel. Comes with three application-specific choke tubes (IC, M, F), and has swivel studs included.